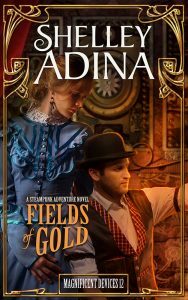 Fields of Gold release day! There’s nothing quite like release day—and when it’s the last book in a series, the day becomes a little bittersweet. I hope you’ll enjoy the culmination of Gloria’s adventure, (find it here). I had such fun writing it, to say nothing of the research on battle scenes and cannons! While all good things must come to an end, luckily more good things can follow. I’m planning a spinoff series of stories that will tie up a loose end, and where we’ll likely see a number of familiar faces. I hope you’ll stay aboard for the next adventure, hopefully coming in late autumn of this year! Congratulations! As a fairly new fan I alternate between barrelling through your stories and holding off so I have something to look forward to. 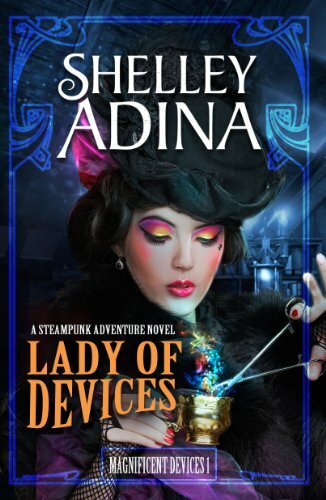 (I dread the day when there won’t be any more Devices stories I haven’t read!) so thanks for keeping us, your readers, hip-deep in stories and happy book birthday. Had pre-ordered …. I checked and it is downloaded! I see a re-reading Binge in my near future! Thank YOU … good to hear from you, Esther! I am a print customer. I have no interest in digital books.If you have a business reason for publishing digital first, fine. Just let us pre-order the print version or tell us the date it’s coming out. It’s wildly irritating to have to check Amazon every day (six weeks now) to see if Fields of Gold is out yet. Again, my apologies, and I hope you will enjoy it. I absolutely love this series and own many of the books and audiobooks. Will Fields of Gold ever come out in audiobook?